For some, when they think about the term, RV, they begin to visualize a nomadic lifestyle. There are thousands of people that travel around the country, living in their RVs, and having no desire to park their traveling home. There is something appealing about following the sun across the country and enjoying all the sights along the way. 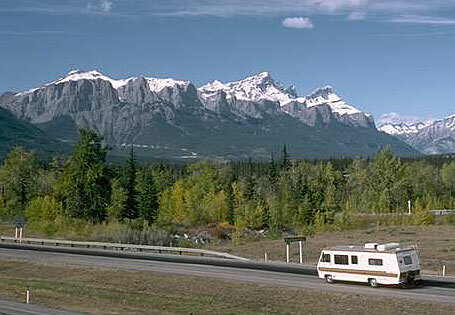 Not everyone who travels the country in their RV is looking for total freedom as many maintain a permanent residence. Most of the time may be spent in areas with a warmer climate during traditional winter months and the remainder of the year in their traditional home. Being able to pick up and go at a moment’s notice is one of the appeals of owning a RV. While most RVs today serve travelers going on vacation, they can also be used for emergency housing needs. With all of the conveniences of a home, an RV can serve short and long-term housing needs following a disaster. With external connections for electricity, water and sanitary sewer lines, they are available in various sizes to fit a family’s needs. When the RV, or recreational vehicle, was first developed, it was a convenient way for people to pack up and take their vacation. 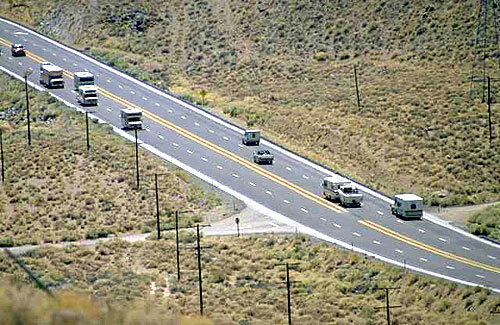 Without the need to connect a travel trailer to their vehicle, which can be dangerous for an inexperienced driver, all they had to do was climb in and drive. Everything a family might need on a trip was contained in an RV, including their transportation. In addition to being self-contained for traveling and sleeping quarters, they are also more comfortable than tents and most cabins and with internal heating and cooling systems offer better climate control. The availability of safe and secure areas in which to park a RV also makes them attractive to new travelers wanting to see the world around them. One of the problems of many RVs was their size, which could keep a person prisoner in a park if they stopped for more than a day or two. Once it was parked and leveled, it was too much trouble to get back on the road to pick up supplies and then return. A tow bar and a small car attached to the RV solved that problem. While most travelers understand that the miles per gallon of an RV are going to be low, the additional price of fuel is offset by the savings of hotel or motel bills. Being able to cook in the vehicle also saves money on the cost of eating out making these gas-hungry rolling dwellings a less expensive alternative to spending every night looking for a place to sleep. Owning an RV can be an expensive proposition when the cost of insurance, maintenance and repairs are factored into the total. Many people may longingly look at recreational vehicles as they head down the road, but once they own one realize they will probably only use it one or two weeks each year. This can make the cost of ownership unrealistic for its limited use. With RV rentals, you can use it once or twice and decide if it would be used more often if you owned one, or determine annual rental may make the best financial sense. You can find RV rentals in many sizes and in many formats. Self-contained motor homes up to 32-feet that sleep eight comfortably are popular with large families while one that you can haul with your own towing vehicle will be cheaper. The type of RV rentals you might be interested in will depend on your resources as well as how long you will be on the road. Towing a recreational vehicle should be left up to experienced drivers. Self-contained RV rentals are available in many sizes, but it should be noted require considerable practice behind the wheel before heading into congested traffic areas.